Immature Blue-tailed Damselfly (Ischnura elegans). English : Immature Blue-tailed Damselfly (Ischnura elegans). A European Honey Bee (Apis mellifera) flying back to its hive carrying pollen in a pollen basket. English : A European Honey Bee (Apis mellifera) flying back to its hive carrying pollen in a pollen basket. Astronaut Piers Sellers during the third spacewalk of STS-121, a demonstration of orbiter heat shield repair techniques. English : Astronaut Piers Sellers during the third spacewalk of STS-121, a demonstration of orbiter heat shield repair techniques. This young girl in Bangladesh was infected with smallpox in 1973. Freedom from smallpox was declared in Bangladesh in December, 1977 when a WHO International Commission officially certified that smallpox had been eradicated from that country. English : This young girl in Bangladesh was infected with smallpox in 1973. Freedom from smallpox was declared in Bangladesh in December, 1977 when a WHO International Commission officially certified that smallpox had been eradicated from that country. Continuous casting copper disc (99,95% pure), etched, ∅ ≈83 mm. English : Continuous casting copper disc (99,95% pure), etched, ∅ ≈83 mm. 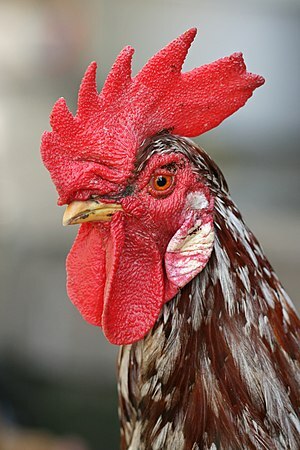 An adult male chicken, the rooster has a prominent fleshy crest on its head called a comb and hanging flaps of skin on either side under its beak called wattles. English : An adult male chicken, the rooster has a prominent fleshy crest on its head called a comb and hanging flaps of skin on either side under its beak called wattles. English : A composite image of Olympus Mons on Mars, the tallest known volcano and mountain in the Solar System. Relative sizes of the planets in the solar system and several well known stars. 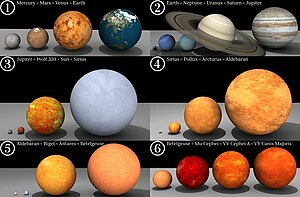 English : Relative sizes of the planets in the solar system and several well known stars. This is a compilation of multiple images showing a take-off of Cetonia aurata. English : This is a compilation of multiple images showing a take-off of Cetonia aurata. Picture of Lotusen (Nelumbo en 'Mrs. Perry D. Slocum') a cross between Nelumbo lutea and Nelumbo nucifera 'Rosea Plena'. Photo taken at the Chanticleer Garden where it was identified. English : Picture of Lotusen (Nelumbo en 'Mrs. Perry D. Slocum') a cross between Nelumbo lutea and Nelumbo nucifera 'Rosea Plena'. Photo taken at the Chanticleer Garden where it was identified. Caracol waterfall near Canela, Rio Grande do Sul, Brasil. English : Caracol waterfall near Canela, Rio Grande do Sul, Brasil. Dead trees at Orange Spring Mound at Mammoth Hot Springs, Yellowstone National Park. English : Dead trees at Orange Spring Mound at Mammoth Hot Springs, Yellowstone National Park. Dagestani man and woman. Photo of 1904. English : Dagestani man and woman. Photo of 1904. Episyrphus balteatus, usually called the Marmalade fly, is a relatively small hoverfly (9–12mm) of the Syrphidae family, widespread throughout all continents. English : Episyrphus balteatus, usually called the Marmalade fly, is a relatively small hoverfly (9–12mm) of the Syrphidae family, widespread throughout all continents. Juvenile Swainson's Hawk seen in Saguache County, Colorado, USA. English : Juvenile Swainson's Hawk seen in Saguache County, Colorado, USA. Panorama of Ville de Québec, in Quebec, Canada from Lévis. English : Panorama of Ville de Québec, in Quebec, Canada from Lévis. Immature female Ceriagrion glabrum damselfly. Pictured in Dar es Salaam, Tanzania. English : Immature female Ceriagrion glabrum damselfly. Pictured in Dar es Salaam, Tanzania. English : The leopard is the smallest of the four "big cats" in the genus Panthera. 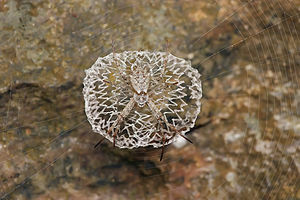 The image was taken in the Bali Safary Park, Bali (Sukawati, Indonesia). Wind rose on the pavement in front of the monument to the discoveries, Lisbon, Portugal. English : Wind rose on the pavement in front of the monument to the discoveries, Lisbon, Portugal. Syrphidae sp. in a flower. English : Syrphidae sp. in a flower. Portrait of the Polish composer Wojciech Kilar. English : Portrait of the Polish composer Wojciech Kilar. "Flying Cathedral" by Jan Kaeser and Matin Zimmermann (Artists from St.Gallen) lookalike of Church of the Monastery of St. Gallen. Seen at the "internationalen Ballontagen Alpenrheintal" on the bridge festival Wiesenrain in Lustenau - Widnau. English : "Flying Cathedral" by Jan Kaeser and Matin Zimmermann (Artists from St.Gallen) lookalike of Church of the Monastery of St. Gallen. Seen at the "internationalen Ballontagen Alpenrheintal" on the bridge festival Wiesenrain in Lustenau - Widnau. Zelandicarum Insularum Exactissima Et Nova Descriptio, Auctore D. Iacobo A Daventria (“New and highly exact description of the islands of Zeeland, the author is Jacob van Deventer”). Size: 24 × 47 cm. English : Zelandicarum Insularum Exactissima Et Nova Descriptio, Auctore D. Iacobo A Daventria (“New and highly exact description of the islands of Zeeland, the author is Jacob van Deventer”). Size: 24 × 47 cm. The chemical element bismuth as a synthetic made crystal. The surface is an iridescent very thin layer of oxidation. English : The chemical element bismuth as a synthetic made crystal. The surface is an iridescent very thin layer of oxidation.